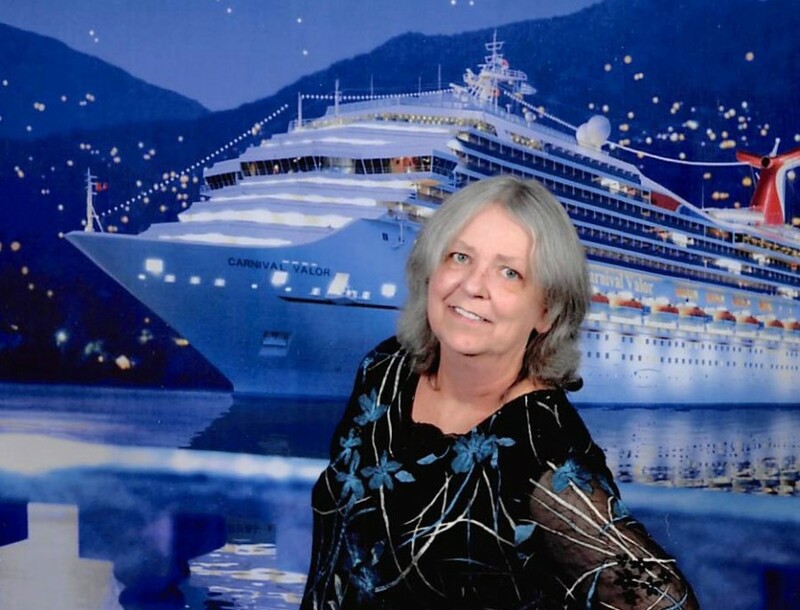 Peggy Lynn “Wright” Bray age 62, of Broken Bow, Oklahoma was called to her Heavenly home on January 14, 2019 after a ten-year battle with cancer. She was a proud breast cancer survivor and participated in the Local Relay for Life for nine years even after she was hit with lung cancer. She also took great pleasure in attending Special Olympic events to cheer on granddaughter, Stormy Sanders. Peggy will be greatly missed by her loving husband of forty-two years, Stephen Bray of Broken Bow, Oklahoma, son and daughter-in-law, Dustin and Agnes Bray of Broken Bow, Oklahoma; daughter, Kelly Bray of McAlester, Oklahoma; cherished granddaughters, Alyssa and Tyler Harvey of Broken Bow, Oklahoma, Stormy, Kaylie, and Kandie Sanders of McAlester, Oklahoma; step-mother, Ruth Wright of Bastrop, Louisiana; brothers, Jim and Lisa Wright of Longview, Texas, Tim and Renee Wright of Broken Bow, Oklahoma, and Mike Scroggins of Bastrop, Louisiana; sisters, Pam and Shannon Ryburn of Anadarko, Oklahoma, Melinda and Scott Jewell of Crowder, Oklahoma, Julie and Bill Freeman of Waco, Texas; brothers-in-law, Gary and Bo Bray of Oklahoma City, Oklahoma, Terry Bray of Lindsay, Oklahoma, sisters-in-law, Fern Rule of Oklahoma City, Oklahoma, Vickie and Charles Mills of Lindsay, Oklahoma and numerous other relatives and friends. She was Preceded in death by her parents, Rev. Jimmie and Nancy Wright; her father-in-law Jewel and mother-in-law Barbara Bray, brother-in-law Larry Bray; sisters-in-law, Darlene Bray and Lynn Scroggins; step-sister, Betty Spears. A visitation for family and friends will be Thursday, January 17, 2019 from 6:00 to 8:00 P.M. at Bunch-Singleton Funeral Home Chapel in Broken Bow, Oklahoma. A Celebration of Life Service will be held on Friday, January 18, 2019 at 2:00 P.M. at Bunch-Singleton Funeral Home Chapel with Bro. Paul Hartley, Bro. Vincent Bueltel and Bro. Jack Wright officiating. Interment will follow at Watson Memorial Cemetery in Broken Bow.